Content Management Systems or "CMS" solutions are designed to make it easier for people to manage their website online. The most popular option today is WordPress, but new brands are coming into the mix to offer their clients a next-level CMS experience. For instance, Statamic is a free tool that helps website owners to create, edit, and update incredible website content. 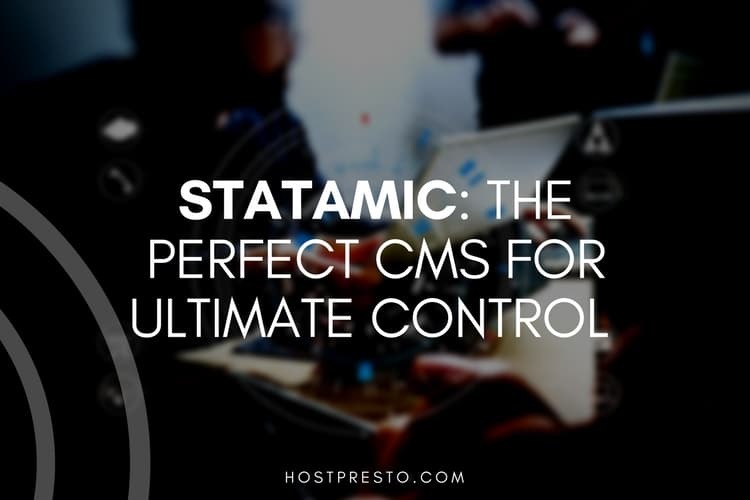 Although Statamic includes many of the standard features you would expect from a content management system, including the ability to schedule posts, change themes, and of course, create forms, it differs from other CMS solutions in a number of important ways. Here, we're going to look at how Statamic gives webmasters complete control online. Before we jump into describing the benefits of Statamic, the first thing you need to know is that the creators removed the MySQL database to create a flat file system that allows users to create virtually any data solution they can imagine. Essentially, because there's no database to worry about Statamic users get a control panel that comes with next-level flexibility. Straight after installation, Statamic runs on an engine based on YAML and Markdown files, with optional Redis drivers available. This means that instead of using a database that developers can't version control, Statamic stores all of a user's configurations in file formats which can be seen and edited instantly. Statamic is specifically designed to help developers rapidly build and deploy incredible websites while eliminating unnecessary and repetitive tasks like clicking through a control panel for hours at a time. Statamic is structured around the most powerful PHP framework on the marketplace today and comes with all the features you would normally need to pay for on WordPress. Essentially, if you're looking for something that will take your website to the next level quickly, then Statamic could be perfect. 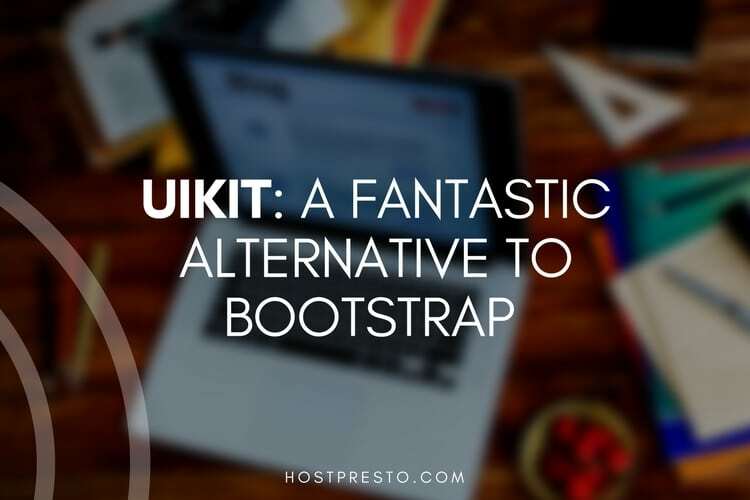 With this unique but powerful CMS, developers and website owners can find and replace content across their site, write in their favourite language, and duplicate sites instantly so that they can get a boost on their next project. You can even develop scaffolds for your content model as you go, and you don't have to worry about painful version control. In today's agile technology environment, many website owners and developers need the opportunity to scale and transform rapidly. Unfortunately, the structure of the standard MySQL database present in most CMS systems makes scaling far more difficult. Sites are often expensive and difficult to load balance, but this isn't the case with the Statamic database-free solution. Just because Statamic takes a different approach to content management systems doesn't mean that it requires content developers and creators to learn how to use complex systems before they can start publishing. Many people believe that Statamic is actually easier to use than WordPress, and content creators can simply write, edit and publish content from any device they choose. There's the opportunity to combine repeating blocks with rich text fields, select boxes, and image uploaders, as well as countless other features. There's no bloat or unnecessary fields that do nothing but slow down your website. Statamic can make content publishing simpler. One of the greatest things about Statamic is that you don't need to pay for third-party add-ons and extras to help you make the most out of your CMS product. Instead, everything comes as standard - including the forms you might need to collect powerful customer data on your website. You can even export your form data into files that are compatible with Excel so it's easier to track anything that might be happening on your website. If you run a photo-centric website that requires a lot of imagery control, then Statamic can help with that too. The simple Asset Manager features ensures that you can see all the metadata you need on your assets and customise various fields to manage your content around the world. You can also move, rename, resize, and filter content depending on the needs of your brand. For webmasters seeking absolute control over their website content, Statamic could be the key to success.